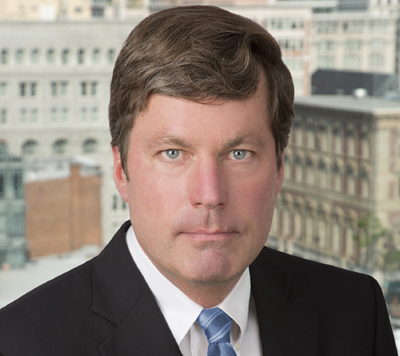 Adding a major new player to its deep bench of Capitol Hill veterans, Venable LLP announced that Thomas C. Downs has joined the firm as a partner in the Legislative and Government Affairs practice in Washington. Mr. Downs comes to Venable from Patton Boggs, where he was also a partner. He previously served as chief of staff and senior legislative aide for members of Congress, including House Appropriations Committee member and former House Budget Committee Chair Martin Olav Sabo, and George Hochbrueckner, a member of the House Armed Services Committee. Mr. Downs handles high-stakes public policy and legislative issues for government entities, corporations, nonprofits and educational institutions. He focuses on legislative matters, appropriations, competitive and discretionary grants and public-private partnerships. Legislative authorization and appropriations for the newest Smithsonian National Museum (National Museum of African American History and Culture), as well as funding and support for other projects involving American history, culture and the arts. “Tom Downs brings a wealth of knowledge and experience about the inner workings of Congress and the keys to navigating the legislative process, which seems to grow more complicated each year. His success in appropriations and grant funding matters will be a tremendous benefit for our clients,” said William Nordwind, Venable’s co-chair of the Legislative and Government Affairs practice group. Mr. Downs joins Venable’s strong bi-partisan team of government insiders from both Capitol Hill and the Executive Branch. The firm’s partners include former U.S. Senator Birch Bayh; James Burnley, former U.S. Secretary of Transportation; Bart Stupak, a nine-term Congressman from Michigan; Raymond Shepherd, former staff director and chief counsel of the Senate Permanent Subcommittee on Investigations; Andrew Olmem, former Chief Counsel and Deputy Staff Director at the Senate Committee on Banking Housing and Urban Affairs; and Mr. Nordwind, a former Counsel and Policy Coordinator for the House Energy and Commerce Subcommittee on Telecommunications. Mr. Downs received his J.D. from the American University’s Washington College of Law and his B.A. from Brown University.